I am so happy to have met Amber last month at the Masterlab diabetes advocacy conference. We clicked immediately, and as you will see in this interview have no issues discussing any and everything diabetes and life related! 21 days after her eighth birthday, Amber was rushed to Children’s Hospital where she spent two weeks learning how to live life with type 1 diabetes. She has embraced the thought of being a walking science project and continues to maintain stable blood sugars most of the time while living life to the fullest. 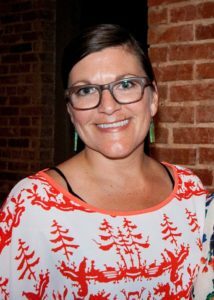 In 2015 she stepped down as Executive Director for a community artspace and gallery to pursue her drive to co-found the DiabetesDailyGrind.com and co-host the Real Life Diabetes Podcast. Amber’s “no filter” approach to sharing her story gives an honest look into her daily life in hopes of letting others know they aren’t alone on this T1D journey.